Game maker Wadjet Eye announces “Golden Wake”, a new point and click adventure game to be launched on 9’th of October, 2014. Although the genre is not as popular anymore, there are still plenty of fans reminiscing on classical adventure games such as Lucas Arts’ Indiana Jones series or Monkey Islands 1 and 2. Bringing back pleasant memories, Golden Wake’s cut scenes, available on the game maker’s website, recreate the feeling of mid 90’s adventure games. Dave Gilbert, Wadjet Eye CCO seems to have purposely chosen slightly antiquated graphics not excelling in high resolution or detail. As many adventure game buffs believe, Golden Wake’s graphics rekindle the lost passion for the genre. 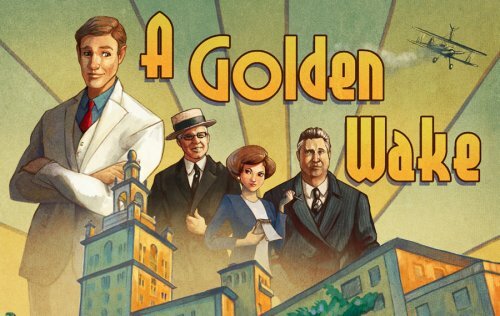 Set in the 1920s, in a Miami suburb, Golden Wake follows the story of Alfie Banks, a real estate broker, trying to "strike it rich" during America’s Great Depression.